English Unlimited is a six-level (A1 to C1) goals-based course for adults. Centred on purposeful, real-life objectives, it prepares learners to use English independently for global communication. 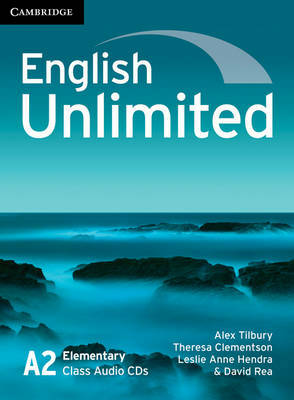 The English Unlimited Class Audio CDs contain all the listening material for the coursebook, and the listening sections of the three Achievement tests (available in the Teacher's Pack).